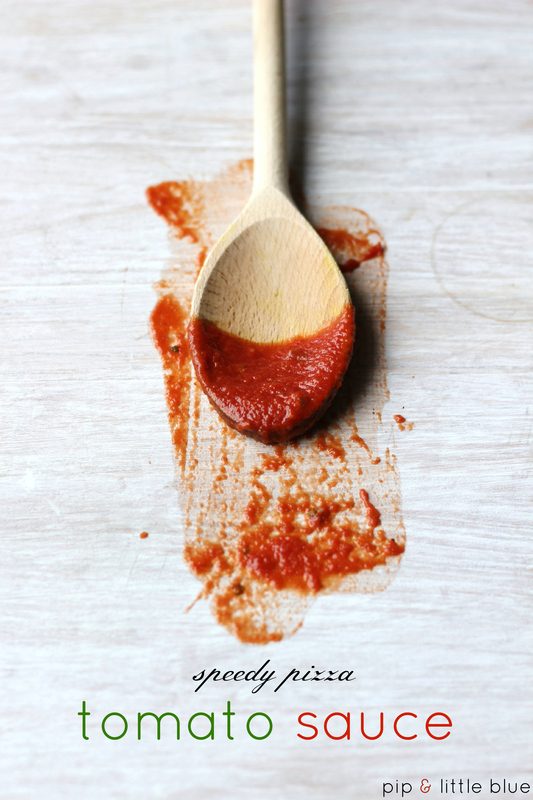 This is my go-to tomato sauce – quick and easy to make and simply delicious spread on homemade pizza bases. The flavour is surprisingly intense given the speedy cooking time so it’s perfect if you’re short on time but want to go big on flavour! Heat the oil in a frying pan on a low to medium heat. Add the garlic and cook for a minute or so until it starts to colour. Add the basil, passata and tomato purée and simmer for 10 minutes, stirring occasionally. Season to taste with salt and freshly ground black pepper. Set aside to cool. Once cool, spread thinly onto your pizza bases. Tip: If you spread the layer too thickly or the sauce is still hot, you will get a soggy, doughy bottom – to be avoided! Any leftover sauce will keep in the fridge for about a week (it also freezes well). Tip: Don’t forget to use a sterilised container – find out how to sterilise here. Tags: dairy free, easy, gluten-free, Italian, passata, pasta sauce, pizza sauce, quick, recipe, tomato sauce, vegetarian. Bookmark the permalink.